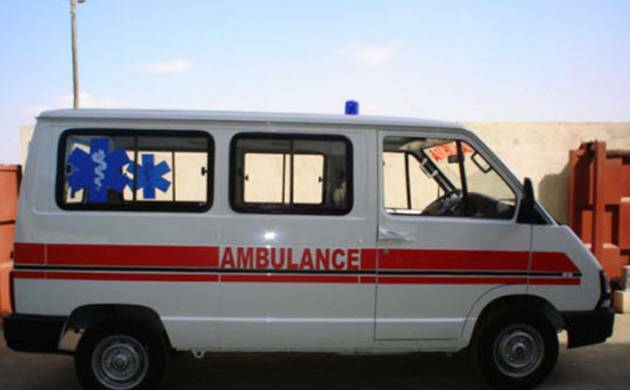 A 48-year-old man who had met with an accident died at the district hospital last night with his son on Wednesday alleging that he was denied an ambulance for his father as the family is poor. Ram Milan Sahu sustained injuries after being knocked down by an SUV at Mahimar village on Tuesday, said his son, Pappu Sahu. “I rushed my father to the district hospital by an auto-rickshaw. The doctors, after giving him first aid, referred him to Jabalpur for further treatment,” he said. “I demanded ambulance from the hospital authorities, but the ambulance driver refused to ferry my father, saying that the vehicle wasn’t insured, despite my offer to bear fuel expenses,” he added. “We didn’t get ambulance as we are poor,” he alleged. “My father died in the district hospital for want of treatment,” he further alleged. District Hospital’s Resident Medical Officer (RMO) Sandip Singh said that the alleged neglect of the patient will be probed.